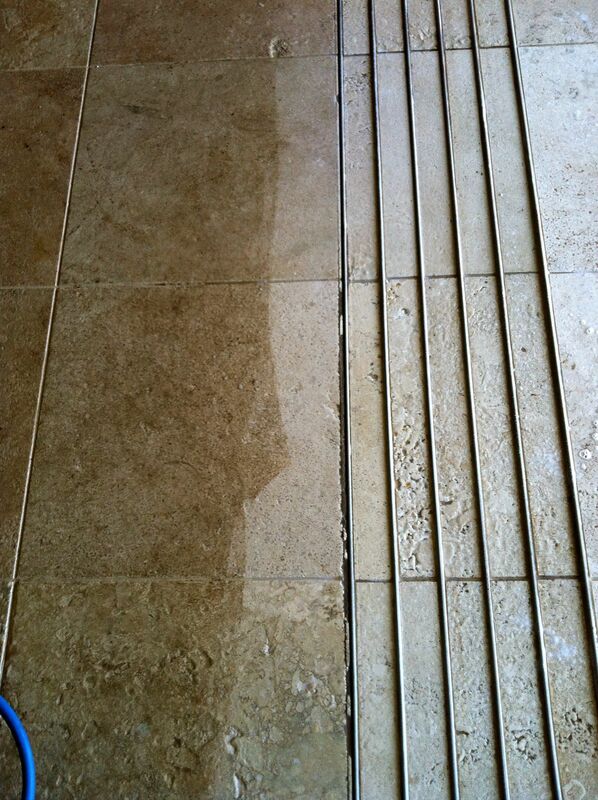 CLEANING: Next, our high-pressure extraction tool immediately removes dirt from the tile and grout. Our rotary extraction tool agitates, rinses and removes all remaining soils. PROTECTION: After the surface is completely dry we offer a range of the best clear penetrating sealants available. 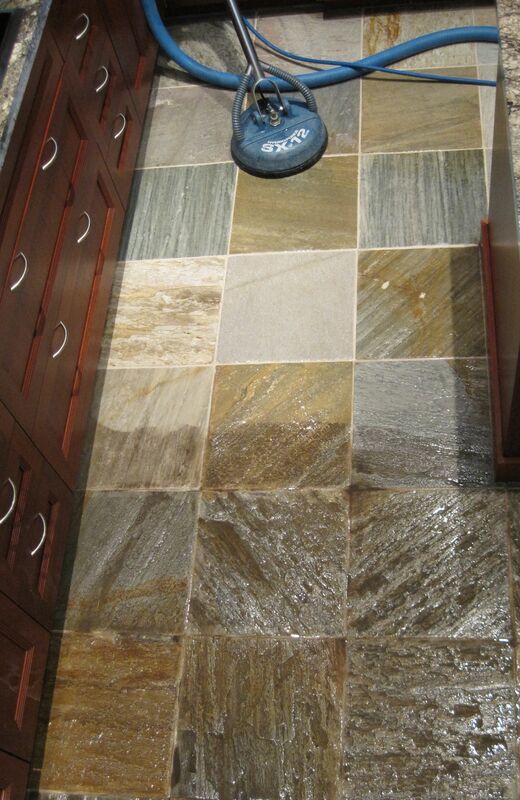 By the time a stone or ceramic floor is visibly soiled, it has accumulated many layers of stains, bacteria, and oils that are impossible to clean by conventional means. In fact, most homeowners are unaware that typical maintenance with a mop, bucket, and alkaline cleaner will strip away a surface’s protective sealer. 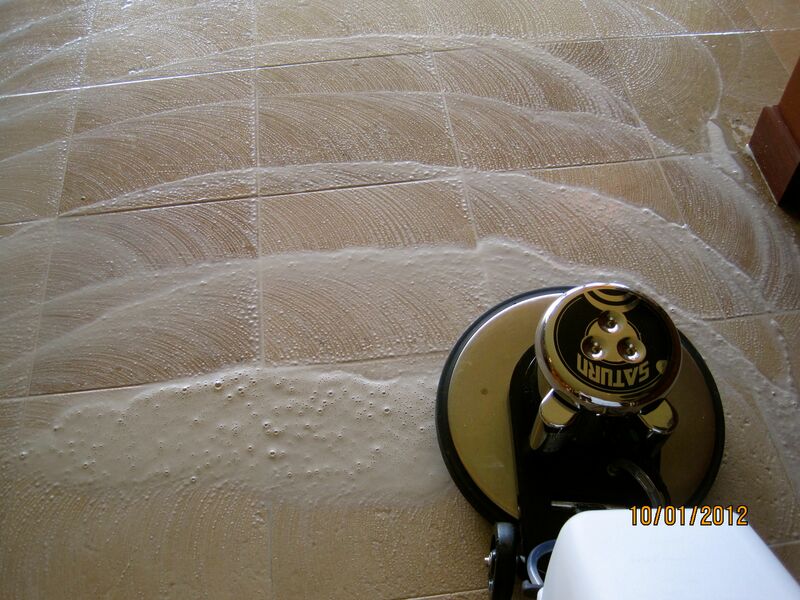 Grout lines become a porous gutter for the dirty water run-off. 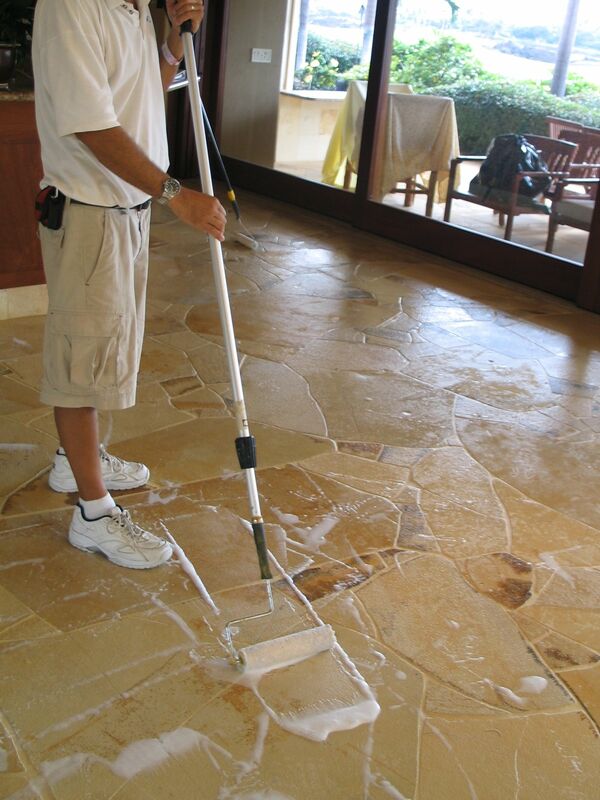 It used to be that hard surfaces had to be replaced at this stage, because no bleaching agent or chemical treatment alone was enough to restore to a bright, clean surface. Now, however, with a multi-step process that features enclosed water pressure and extraction, we are able to bring a surface in many cases to its original look. 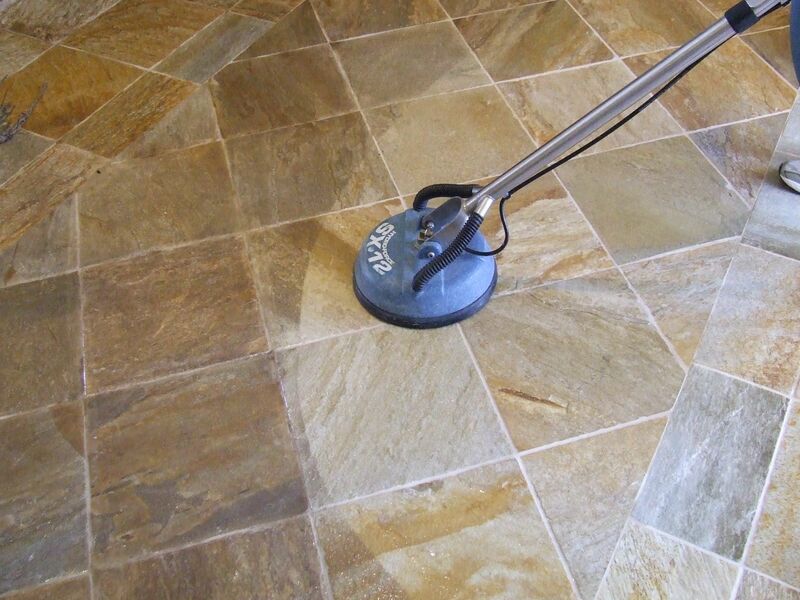 We will also advise you on the proper care of your floor. The only cleaner to ever use is a neutral floor cleaner ( Number 7 on the pH scale). Entry and exit mats also help protect against premature wear of ceramics, and the accumulation of soil in grout and natural stone. We offer free, on site estimates and can perform a sample cleaning to give you an example of the result we can achieve.